After collaborating with adidas TERREX to create the feature documentary Claim Freedom, we were delighted to be working together again and our latest project posed an exciting new challenge. We were tasked to create a sixty second commercial with supporting content to launch the brand new TWO BOA trail running shoe. The TWO BOA is part of adidas’ new Zero Dye collection. As the name suggests, no dye has been used in the manufacturing of the shoe. All of the fibres and textures of the shoe keep their natural colour. A pure white trail running shoe... designed to tackle dirty, muddy, raw trails. A blank canvas. The idea was to showcase the TWO BOA as a blank canvas. A canvas that will evolve through use and share your story. From the earthy colours of green mountain landscapes to contrasting red, dusty deserts, you will ‘Paint It Up’, and your shoe will become a part of your identity. To demonstrate this concept, we set out to put the shoe in as many contrasting locations and environments as possible. Our aim was to create colour change, landscape variety and feature multiple athletes doing their thing. While brain-storming shoot locations, Iceland kept being suggested by the team. Director Andy visited Iceland last year and knew that the terrain and geography would lend itself to a shoot requiring contrasting and colourful backdrops. The black volcanic beaches would provide a striking contrast to the bright white shoe, and was the perfect place for us to start visualizing how the TWO BOA content would look and feel. We also knew that shooting in Iceland would allow us to experience so many contrasting backdrops - all within a relatively short distance - including bright green hills, black sand beaches and white glacial landscapes. We would also be able to stop at specific locations such as the Skogafoss waterfall and Sólheimajökull glacier to provide some additional, interesting backdrops. For the black sand beach we visited Reynisfjara and were blessed with some really moody and dramatic misty conditions. This was actually the last scene we shot, so after some amazingly sunny weather for most of the shoot, we were glad to have different conditions at the beach. This was shot with Adidas athlete Benni Bublak who happily ran up and down the beach trying to avoid the massive waves! For the green mountainous landscape, we travelled to the area around Thórsmörk. This is one of the most popular hiking and trail running spots in Iceland. This scene was shot with a local trail runner - Elisabet Margeirsdottir - who was great to work with and we were grateful for her guidance on the best running spots in the region. Overall, Iceland was incredible. 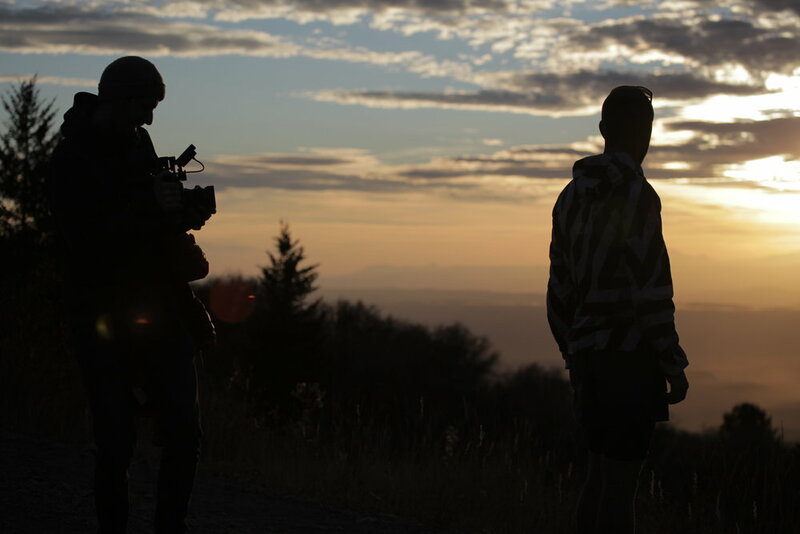 It provided the conditions, the locations, the trail running, and the scenery that we needed to make this film. It is an amazing place to visit, and definitely somewhere we’re keen to film again! The second half of the shoot had to contrast the incredible colours of Iceland but keep the scale and aspiration. An opportunity presented itself when Terrex signed trail runner Abby Levene to their global team. Keen to feature their new signing in the commercial we found ourselves on a flight to the USA to meet up with Abby who had been competing in Moab, Utah. The red rock, dusty trails and canyons made famous by the classic western movies provided the perfect contrast and compliment to the scenery of Iceland. 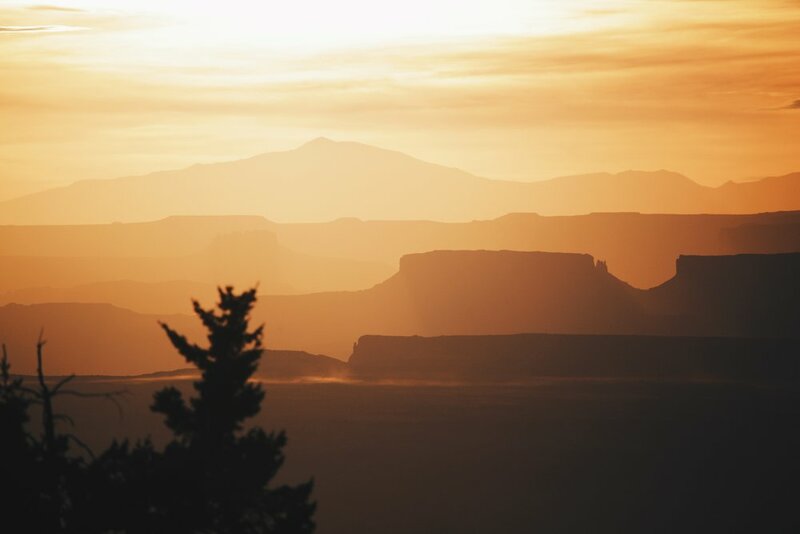 Knowing we were heading out to Moab we reached out to one of America’s most respected mountain guide organisations Aspen Alpine Guides to help support us on the ground. Collaboration with locals and authorities on location is so vital to many of our projects. Having a resource to help guide get us in and out of locations safely and gain the appropriate access and permission is so valuable and necessary. We based ourselves on the outskirts of Moab in Horsethief Ranch, formerly owned by the infamous outlaw Butch Cassidy. The whole area has a sense of true bandit country and the canyons we were heading into had real, gritty back stories and were visually incredible. Between the Iceland and USA shoots we were able to fully realise the project concept, and showcase the 'blank canvas' being painted in a whole range of environments. Time was short on the ground, but armed with our shot lists, dream locations, and great crew, we feel we made the most of this amazing opportunity! One of the toughest parts of this project was finding the soundtrack to portray the fresh vibe and direction of Adidas Terrex. We wanted to find a track which tapped into influences from Adidas Originals, Running and Football. On paper it sounds like an easy task but anyone who has tried to find music for a video knows how difficult and time consuming it can be. Edit guru Gav and I listened to hundreds of tracks and created several playlists to try and narrow the search. Some good, some terrible, some very left field! Both of us were locked in the edit dungeon working hard to meet deadlines and find music when our production manager Lisa, dropped a brilliant music suggestion: Kobi Onyame, ‘Chosen ones’. The track had a fresh, hip hop vibe which worked well with everything we were trying to say. We reached out to Kobi and managed to bring him into our studio to work on the cut of the music and make it work with our sixty second edit. The whole process highlighted perfectly the power of collaboration. Each thought and suggestion from everyone involved in the project is so valuable. It’s a way of working we encourage and thrive on so we can create the best final project possible. From concept to release this project has been awesome and to launch another project with Adidas Terrex on an innovative new product has been very cool. We're stoked to be able to share this film with you!